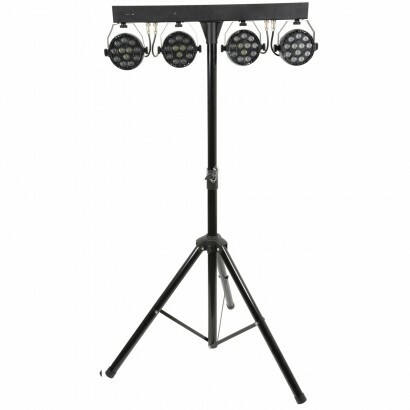 Quick and easy to install, this lightweight LED Par bar lighting system is perfectly suited to mobile DJs, entertainers and touring acts that require colourful disco lighting. 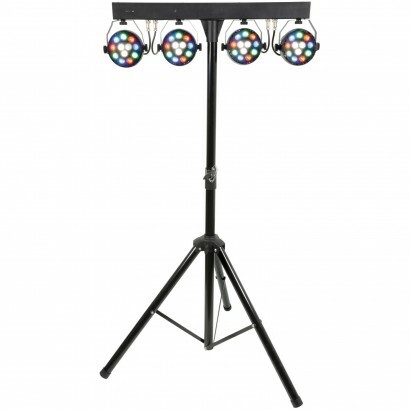 The bar supports four Par Cans each containing 12 LEDs in red, blue, green and white for smooth colour change light effects that will enhance performance. 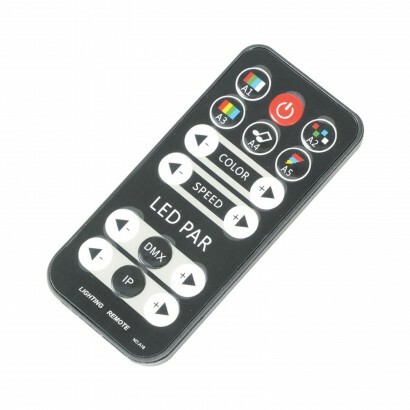 Use the remote control included or DMX control to choose from one of 12 pre programmed lighting sequences or a static function, there's even a sound to light facility.